I obtained an Honours Bachelor of Science at the University of Toronto (Mississauga) prior to earning my Juris Doctor at Osgoode Hall Law School in 2007. While at law school, I volunteered at the Jarvis Street family court through Pro Bono Students Canada where I assisted self-represented parties in preparing their court documents. 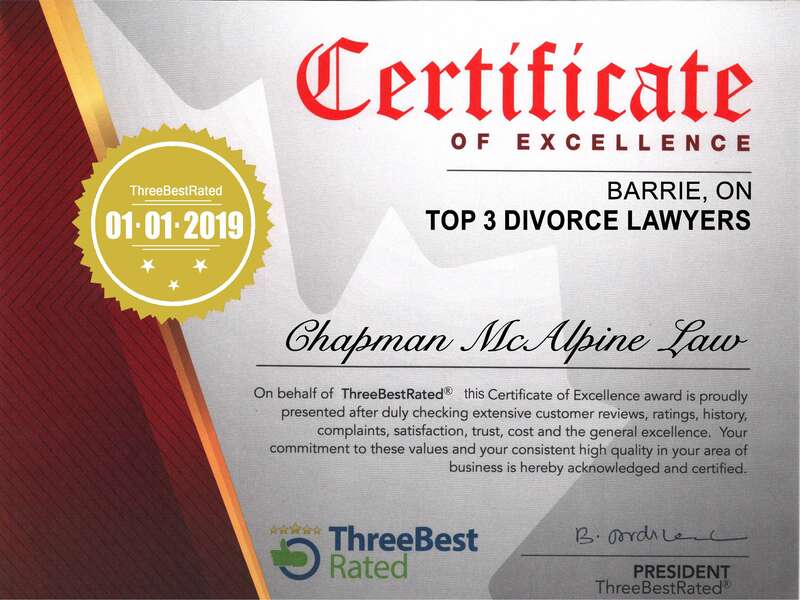 I articled at a full service firm in Orillia before joining a family law firm in Barrie in 2009. My interest in family law began years earlier when I was adopted by my maternal grandparents as a child. My interest developed into a passion throughout law school and my articles; I wanted to help people directly. I understand that separation and divorce can be very scary, especially when children are involved. I offer practical advice aimed at resolving issues rather than creating new ones. I have extensive litigation experience but have found that many matters can be resolved without having to involve the court system; I will help you try to negotiate a direct resolution but will not hesitate to let you know when court is appropriate. I am also mindful of the expense of retaining a lawyer and will advise you of cost-efficient options to help you keep your costs to a minimum. I am fluent in sarcasm and it is not unusual to hear laughter coming from my office, even from clients coming in for their first consultation. I swear more than I’d like my mother to know and prefer jeans to suits. When not at the office, I can be found enjoying the company of my husband and our two young children.